Celebrating the life of Jerome Arthur Buckingham Jr.
Obituary for Jerome Arthur Buckingham Jr.
Jerome A Buckingham Jr. (Jerry) was born to Jerome Buckingham Sr. and Rose Paxson Buckingham on December 29, 1942 in Muskegon, Michigan. He graduated with honors from North High School in Minneapolis. He graduated from Purdue University with a degree in Electrical Engineering and later with a Masters in Manufacturing Engineering and Systems Analysis from St. Thomas University in St. Paul. He married Amy Swanson in 1966, and is survived by his wife of 51 years and three children, Rany of Sunset, Florida, Troy of Cherokee Village, and Kari Hastings of Los Vegas, Nevada. 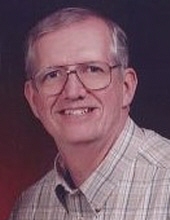 Jerry was a lifelong, active member of the United Methodist Church. He was especially proud of his work with Honeywell and the Apollo missions, farming and using innovative methods in conservation and farm management, and consulting with small manufacturers in Iowa and Arkansas. Additional activities included research into family genealogy, being an active board member and treasurer of his father’s 99th Bomb Group from WWII, and extensive trips to Tanzania, East Africa building Bio-Sand filters and working with water projects. Jerry loved to travel and enjoyed hearing people’s life stories, as well as sharing his own life experiences. He was selfless in giving of himself through teaching and helping others. His children and wife remember him as positive, loving, selfless, giving, mentoring and fun. He was quietly persistent and valued ethics and honesty in his life and work. His faith in God never wavered, believing we are never alone in this journey. After Multiple Myeloma and colon cancer he died at home on October 16, 2017. He also greatly enjoyed the calls, visits, well wishes and cards from relatives, friends, and Pastor’s Angie and Jimmie. A celebration of life will be held at Cherokee Village United Methodist Church, Saturday April 7, 2018 at 11:00AM. Arrangements are by Wortham Funeral Home. To send flowers or a remembrance gift to the family of Jerome Arthur Buckingham Jr., please visit our Tribute Store. "Email Address" would like to share the life celebration of Jerome Arthur Buckingham Jr.. Click on the "link" to go to share a favorite memory or leave a condolence message for the family.